Seem Kim Kardashian is everyone's favorites when it comes that same thing that keep igniting feud in between Kanye West and Drake. 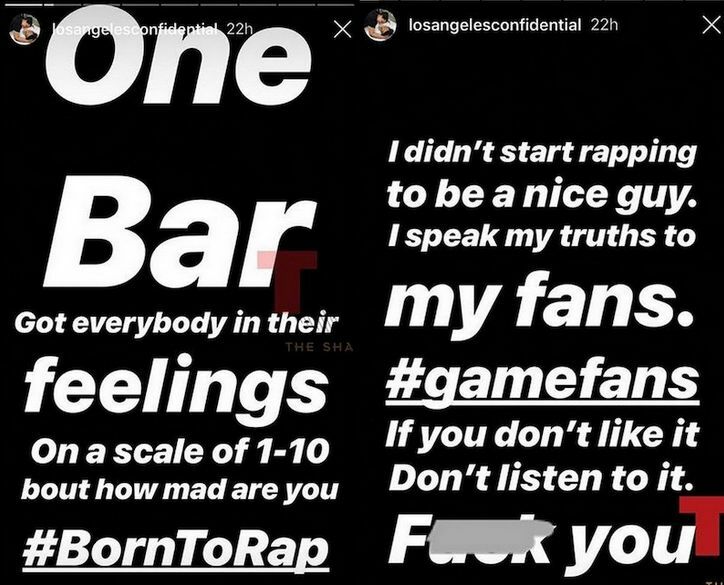 Last year Drake and Kanye went on bone to bone after Drake claims he fu**k his wife Kim. 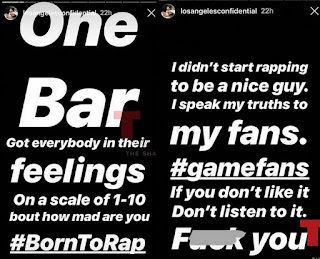 “I didn’t start rapping to be a nice guy,” he wrote on IG Story. “My fans. Game fans if you don’t like it don’t listen to it. F*** you.” The Game said all. 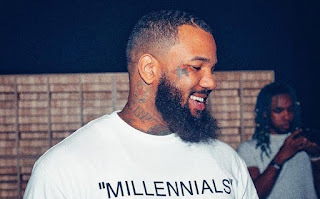 The Game is getting ready for his upcoming album so we are still hoping to see more of his songs. The album will definitely show up this year .